Detroit: Five Star - Thomson/Gale, June 2007. First Edition, First Printing Glossy Pictorial Boards AS NEW in AS NEW DJ 8vo (6x9), 401 pp. Hardbound First edition is signed on the title page and is FINE -- unread, unmarked, and AS NEW in AS NEW glossy pictorial DJ. 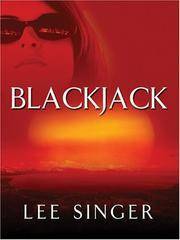 (h) This is a brilliant thriller about the Lake Tahoe region in the year 2066. The USA has fragmented into several countries, this one, where gambling continues to reign, is Sierra. But the future setting is merely a way to present an amazingly complex, totally contemporary fast-moving gritty story bfilled with surprises. Rica Marin is a mercenary, hired to go undercover in a casino as a lounge singer and find out if the really nasty criminal things people have said about this clan are true. But NOTHING is necessarily as it seems and no one knows who is actually on which side -- sort of a fast-moving chess game with all the pieces the same color. Rica Marin is a wonderful character -- had me head over heels from the start. I have to admit I have long enjoyed this writer's books, not only because they take place in the area where I live, but because the characters have real texture and the sort of idiosyncratic complexities that real humans have. Rica Marin is even more so. So I got hold of a couple copies, went to the author in Petaluma, asked her to sign them, and she was gracious enough to do that. Five Star printed very few copies of this book , so I think the first edition -- given how good it is -- will become very collectible, and those signed by the author even more so. Detroit: Five Star - Thomson/Gale, June 2007. First Edition, First Printing Glossy Pictorial Boards AS NEW in AS NEW DJ 8vo (6x9), 401 pp. 8vo Hardbound First edition is signed on the title page and is FINE -- unread, unmarked, and AS NEW in AS NEW glossy pictorial DJ. (h) This is a brilliant thriller about the Lake Tahoe region in the year 2066. The USA has fragmented into several countries, this one, where gambling continues to reign, is Sierra. But the future setting is merely a way to present an amazingly complex, totally contemporary fast-moving gritty story bfilled with surprises. Rica Marin is a mercenary, hired to go undercover in a casino as a lounge singer and find out if the really nasty criminal things people have said about this clan are true. But NOTHING is necessarily as it seems and no one knows who is actually on which side -- sort of a fast-moving chess game with all the pieces the same color. Rica Marin is a wonderful character -- had me head over heels from the start. I have to admit I have long enjoyed this writer's books, not only because they take place in the area where I live, but because the characters have real texture and the sort of idiosyncratic complexities that real humans have. Rica Marin is even more so. So I got hold of a couple copies, went to the author in Petaluma, asked her to sign them, and she was gracious enough to do that. Five Star printed very few copies of this book , so I think the first edition -- given how good it is -- will become very collectible, and those signed by the author even more so.